to rotate to follow a camera. What version of Max are you using? After placing your camera, select one of your tree billboards, go to the "Animation" menu and select Constraints > LookAt Constraint, then select your camera to create the constraint. You will have to play with the settings in the Modify panel to get everything working correctly, but it's all pretty straightforward. You will have to repeat this procedure for each billboard you want to follow your camera. Hi and thank you Cad64 for your reply. any further modifications. The face of the billboard now stays square/perpendicular to the camera. Thanks! So you're using Maxwell for rendering? I've never used Maxwell so I may not be of much help. I use Mental Ray, and I generally create a black & white Opacity map to go along with my Diffuse map. It's a very simple way to achieve opacity, but it does mean that you have to use two separate maps. 4. In the "Material/Map Browser", in the "Browse From" section, choose "Scene"
6. Back in the "Material Editor", in the "Bitmap Parameters" section, set "Mono Channel Output" to "Alpha" and set "Alpha Source" to "Image Alpha"
Ive used boxes for the billboards. Should I have used planes as Im picking up some marks around the edges. Is there any simple way of changing them to planes. Yes, you should use planes. Using a box defeats the whole purpose of the billboard. You will have to convert each box to an Editable Poly and then delete all the faces except the one that faces the camera. 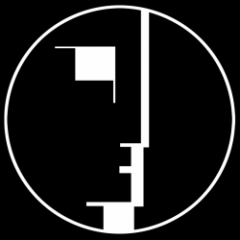 Select the box, right click and choose "Convert to Editable Poly"
'Make Planar' will collapse your box and make it flat, but you will see a big problem once you do this because the front face and the back face will now share the same space, thus overlapping and causing display problems. 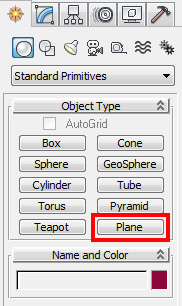 If you want to create a plane, just select Plane from the "Create" panel. This will delete the faces from all instanced boxes. When you're finished, select the "Edit Poly" modifier, right click and choose "Collapse To". And click "Yes" in the Warning box. Thats done the trick. Thanks so much! Your advice has been very helpful to me. Thank you. No problem. I'm always happy to help out in the Max section. No doubt it will work for me. Nice idea. I know this is old thread. But I am looking forward ideas in this regard. Thanks Cad64. I agreed. Sure this will be referenced long into the future.